Meitar - Layer. Digital Studio. Meitar Liquornik Geva Leshem Tal is the largest law firm in Israel, and Israel’s leading international law firm. 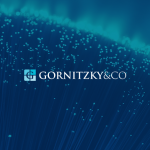 The firm represents some of the world’s largest multinational corporations in corporate, commercial and litigation matters, in Israel and abroad. We are very proud to be a part of Meitar’s new look.